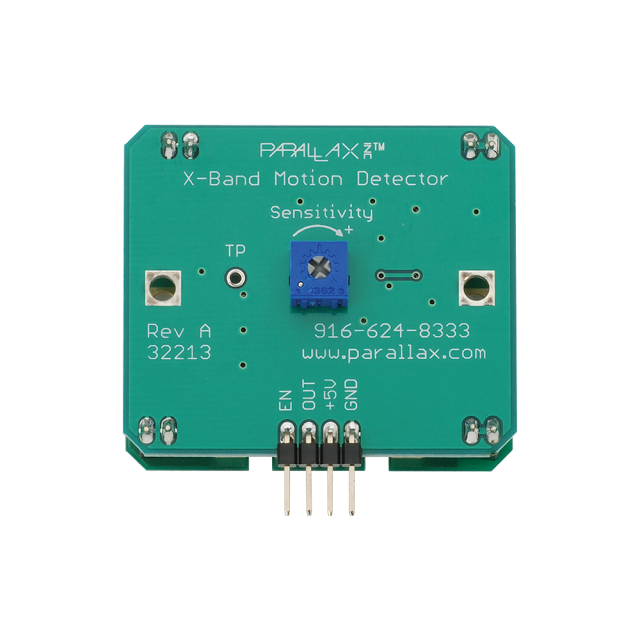 X-Band Motion Detector Propeller Test Code. 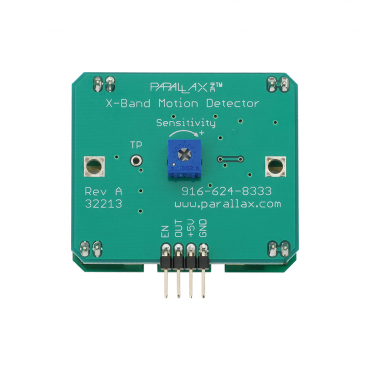 X-Band Motion Detector BASIC Stamp Test Code. The X-Band Motion Detector operates in the X-band frequency, at 10.525 GHz and indicates detected movements with oscillations in its high/low output.Sensitivity is manually adjustable with a potentiometer, offering direct line of sight detection from roughly 8 to slightly over 30 ft (~2.4 to 9+ m). Trim potentiometer for manually adjustable sensitivity. 4-Pin SIP header for breadboard or through-hole prototyping. 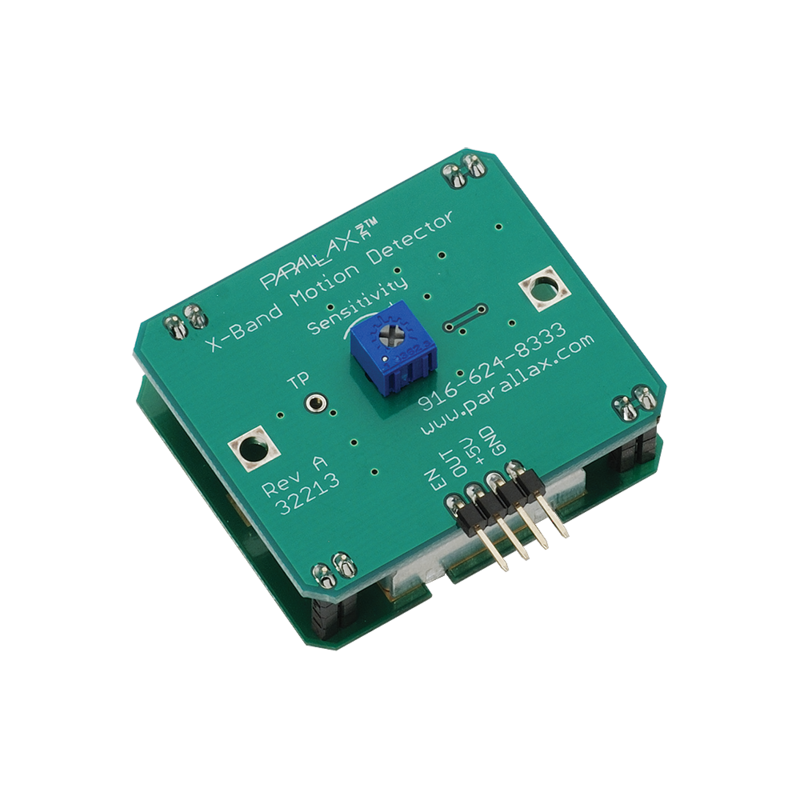 Built-in series resistor for compatibility with the Propeller microcontroller and other 3.3 V devices. Plated test point hole for monitoring pre-comparator signal. Operation frequency of 10.525 GHz. Able to detect motion through walls and windows. More immune to false triggers than passive infrared motion sensors. Active-high enable pin with internal pull-up resistor. Power supply requirements: regulated 5 VDC, 8 mA. Communication: High (3.9 V) / low (0 V) signal oscillates with motion. Dimensions: 1.8 x 1.75 x 0.75 in (46 x 45 x 19 mm). Operating temp range: +32 to +131 °F (0 to +55 °C).